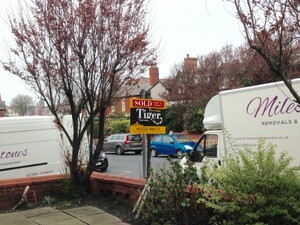 Your Friendly, Professional, Local, National & European Domestic & Commercial Removal Experts. 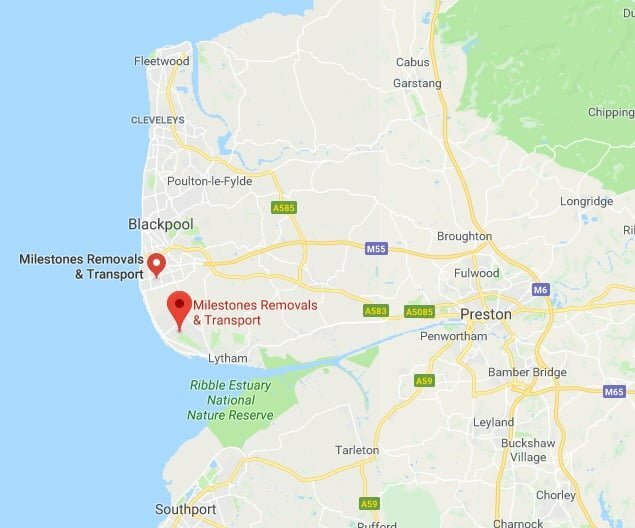 Covering: Lytham St Annes, Poulton-le-Fylde, Thornton-Cleveleys, Bispham, Hambleton, Garstang, Freckleton, Warton, Kirkham, Preston & Surrounding areas. 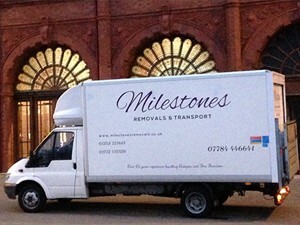 Milestones Removals Blackpool are a family run business based in Lytham St Annes, Lancashire. We have a fit and experienced team of hard working individuals, who are always polite, punctual and ready to help you move anywhere. We work for householders and businesses alike. Whether you need a full team for a removal to Spain, or just one Man with a Van for a job locally or maybe you find yourself in need of a thoroughly discreet and sympathetic local trusted company to carry out a house clearance for you, simply give us a call today. Owner operator George began his working life serving 8 years in the Royal Navy, before moving on to a professional driving career, and subsequently into the world of logistics. George also has over 25 years experience in handling Antiques and Fine Furniture. We offer a Fully Insured and Competitively priced multi man Removals Service or simply a Man with a Van service. Whatever your needs and wherever you may be heading, we are happy to help. Our vehicles, equipment and experience allow us to offer removal and transport services on a huge range of items, from packing boxes filled with household items, to works of art, from documents to piano movers. Your furniture and possessions will not only be fully insured whilst in our very experienced and capable hands, but will also be treated as if they were our very own. In addition to our regular Removal and standard ‘Man and a Van’ services we are also pleased to offer our very popular ‘Man and a Van Plus’. 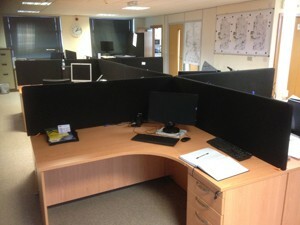 With this service we will collect, deliver and assemble any self build furniture for you. We also offer a part or complete packing service, and can organise the safe and secure storage of your possessions. Maybe you are downsizing with furniture to dispose of, we can organise the house clearance of a single item or a complete contents. We can even organise for your property to be cleaned! No job is too big or too small, we are happy to accommodate.